Will Have Something for Everyone! BOCA RATON, FL: The first half of Evening Star Productions’ second season concluded on May 3rd after a sold out weekend of The Addams Family – A New Musical Comedy at Sol Theatre in Boca Raton. Their production of The Last Five Years will run at Sol from July 16 – August 2nd, and Bug by Tracy Letts will run from August 12th – 29th at Infinite Abyss in Ft. Lauderdale. And Sol Children Theatre, also housed at Sol Theatre, will present the innovative musical comedy The Mystery of Edwin Drood (June 12-28); Thumbelina (August 27 – September 6) will close out their season. However Sol and Evening Star founder and Artistic Director Rosalie Grant is already deep into preparation for next season. Both companys’ 2014-2015 seasons were extremely successful in terms of both ticket sales and recognition. A large percentage of patrons who attended one Evening Star production returned to see a second, and even a third. And Sol Children Theatre attendance numbers also rose. “I carefully took each company’s mission statement into consideration,” Grant continues. “Evening Star will open with 35MM a Musical Exhibition, a regional premiere – we’re only the 4th theatre in the country to stage this difficult, contemporary musical. We’ll follow that up with the still-relative theatre classic, David Mamet’s Oleanna, and close our season with the hysterical British comedy Murdered to Death. Evening Star Productions’ mission is to offer serious young adult actors, stage managers, and designers the opportunity to push the boundaries of their knowledge and talent in a safe and highly professional environment, and to afford them the opportunity to work with professionals in their chosen fields. Grant’s choices will allow the company to further those goals with her talented casts and crew combinations. Founded by artistic director/producer Grant in 2002, and soon to be celebrating their fourteenth season, Sol Children Theatre’s goal is to provide children with a safe, secure, and highly professional theatre experience. The company’s three 2015-2016 productions will not only fulfill the Sol Children Theatre’s mission, but will allow Sol students and actors, as well as their audiences, the opportunity to experience an exciting, eclectic, and extremely enjoyable season of theatre. All Evening Star Productions and Sol Children Theatre performances will take place at Sol Theatre in Boca Raton. Ticket prices for all productions are listed below; group rates are available for all shows. 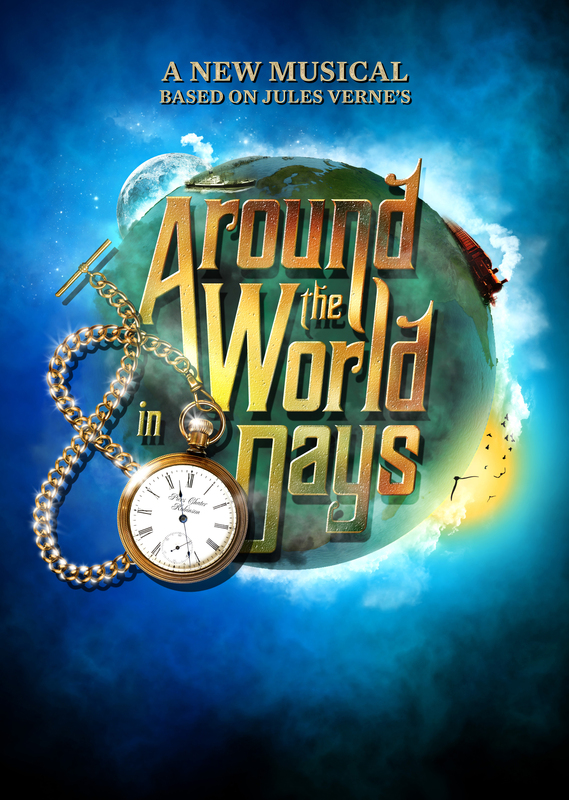 Tickets to all Evening Star Productions and Sol Children Theatre 2015-2016 productions will be on sale soon; tickets for both companys’ remaining 2014-2015 productions (The Last Five Years, Bug, The Mystery of Edwin Drood, and Thumbelina, are on sale now and can be purchased at the Sol Theatre box office at 561-447-8829 or on line at www.eveningstarproductions.org or www.solchildren.org . Sol Theatre is located at 3333 North Federal Highway in Boca Raton (33431). For more information about Evening Star Productions and Sol Children Theatre, please contact Rosalie Grant at 561-447-8829 / info@eveningstarproductions.com or Carol Kassie at 561-445-9244 / ckassie@gmail.com . If a picture is worth 1,000 words – what about a song? Can a picture inspire a song or fifteen? In 35mm each photo creates an unique song; moments frozen in time; a glimmer of a life unfolding; a glimpse of something happening. A stunning new multimedia musical which explores a groundbreaking new concept in musical theatre… this intricately woven collection of stories told through song re-imagines what the modern American musical can be. A seething investigation of “political correctness” in a time when the nation’s morality has been tested by increased incidents of sexual harassment. Featuring Todd Bruno as John. “Oleanna is likely to provoke more arguments than any play this year.” —NY Times. “One of the ten best plays of 1992…reason enough to cheer for the future of the theatre.” —Time Magazine. One of Shakespeare’s most popular plays, A Midsummer Night’s Dream depicts the events surrounding the marriage of Theseus, the Duke of Athens, and his bride Hippolyta, including the adventures of four young Athenian lovers and a group of six amateur actors, who are controlled and manipulated by the fairies who inhabit the forest in which most of the play is set.